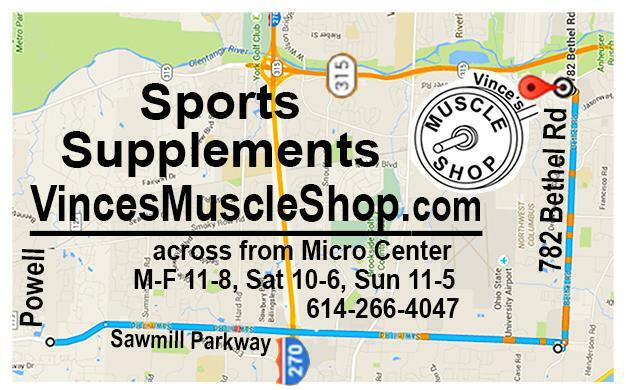 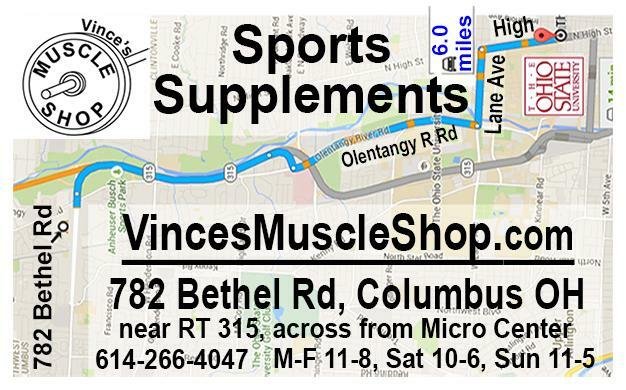 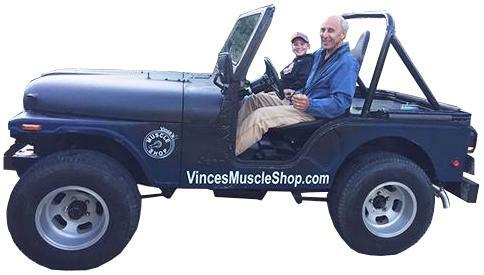 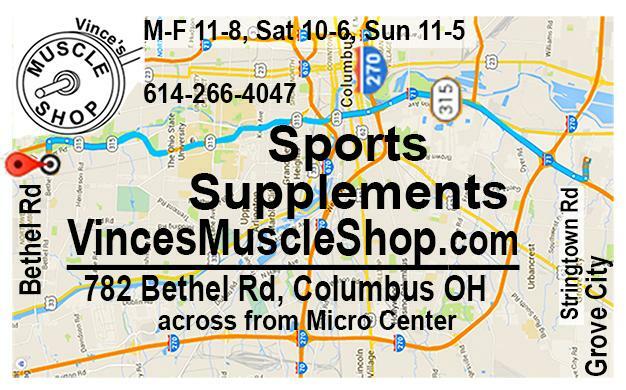 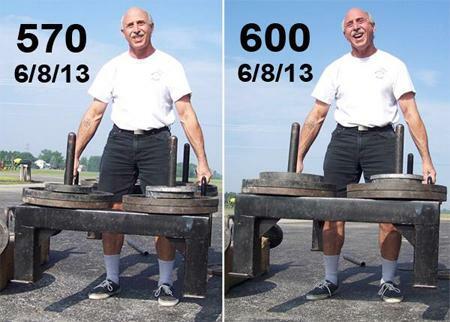 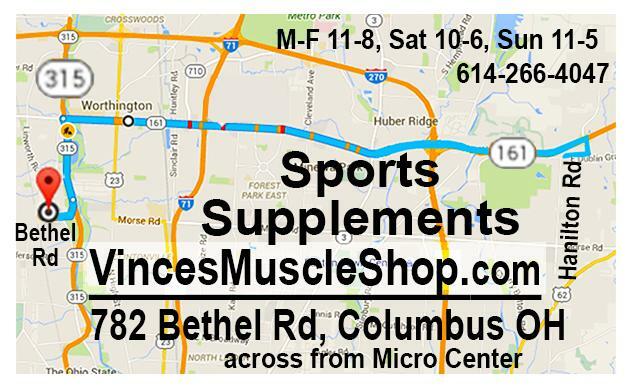 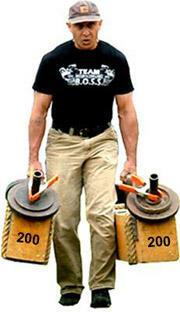 Bodybuilding sports and strength supplements, sports nutrition store, CBD Oil in Columbus OH from Vince's Muscle Shop 828Bethel Rd Columbus OH 43214 - over $100,000 of products on the shelves, more than any supplement store in Columbus. 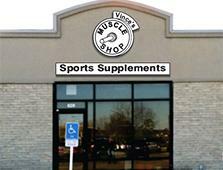 and our prices are better too. 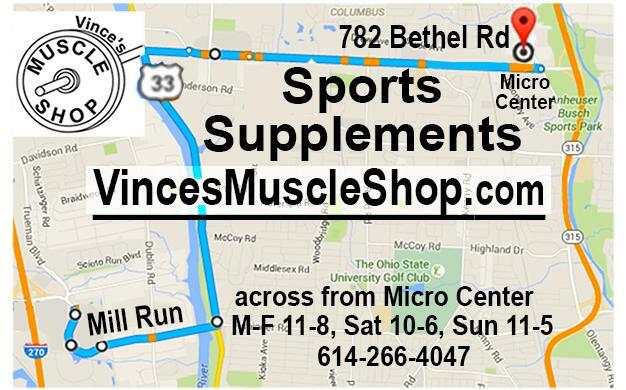 It is easy to get to our independent store from Powell, OSU, Hilliard, Westerville and Grove City.